www.menaiholidays.co.uk – a rather wonderful self-catering company located in North Wales, was recently sent a letter by a satisfied customer from London. The letter was written as if by Wales itself addressing its old friend London, highlighting the completely different lifestyles the two enjoy. Menai Holidays were so impressed with the letter, they decided to turn it into a video, complete with a voice-over. But that’s when their dilemma began. If Wales really was a person, would it be a man or a woman to represent the many landscapes that make Wales the place we love? And what sort of voice would it have? Would the voice of Wales sound like a crescendo of waterfalls or the whispering wind through Newborough forest? Would it be Richard Burton or Catherine Zeta-Jones? 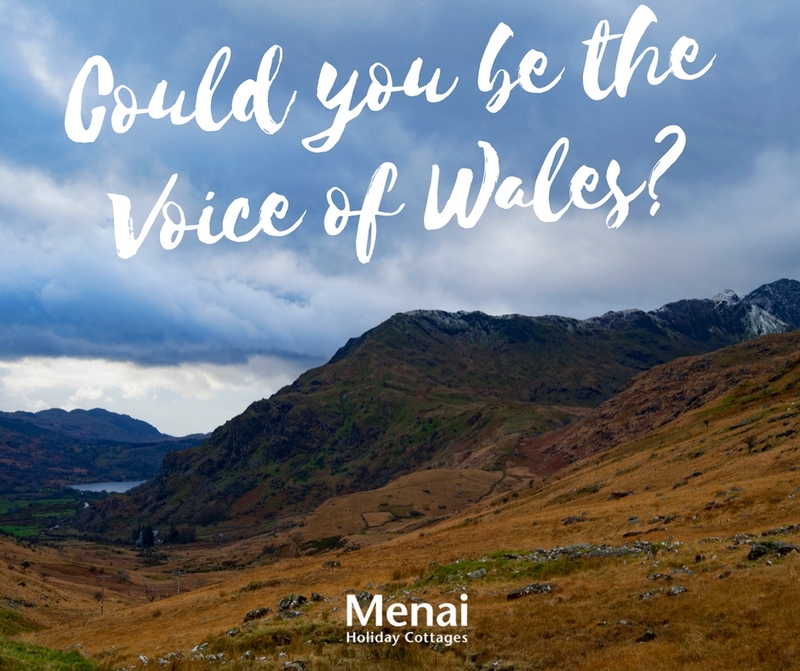 Rather than choose an actor, Menai Holidays have decided to throw open the challenge to the UK and are asking people to send in a recording of their voice, if they think they could bring Wales to life. The voices will then be featured on social media for people to vote for. Anyone wanting to take part should visit www.menaiholidays.co.uk/voice-of-wales-competiton to find out how to enter or look for #VoiceOfWales on social media.